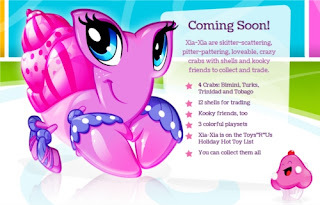 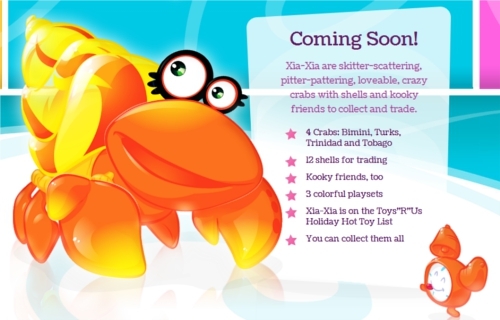 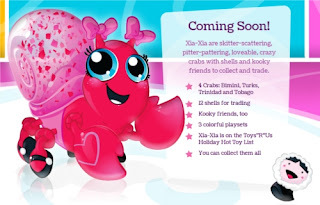 Last time I posted the first pic of Xia Xia Bimini crab wich is appeared on the official website. Today they published the rest three cartoon style Hermit crabs. I'm sure you want to see the pics, so I decided to make screen-shots and show them here. I hope you like them and I also hope that Xia Xia website will be opened soon for more pics, games and information about these cute crabs. Can't wait to see new characters and play online games (if they'd make free Xia Xia online it will be awesome). 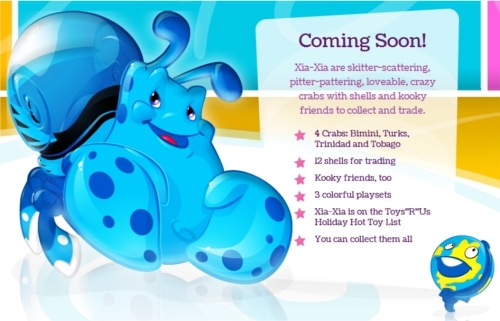 For now Enjoy the pics.